Archers shoot alongside bowlers at the Sunnyside Bowl Bowling Alley in Fresno, California, 1961. 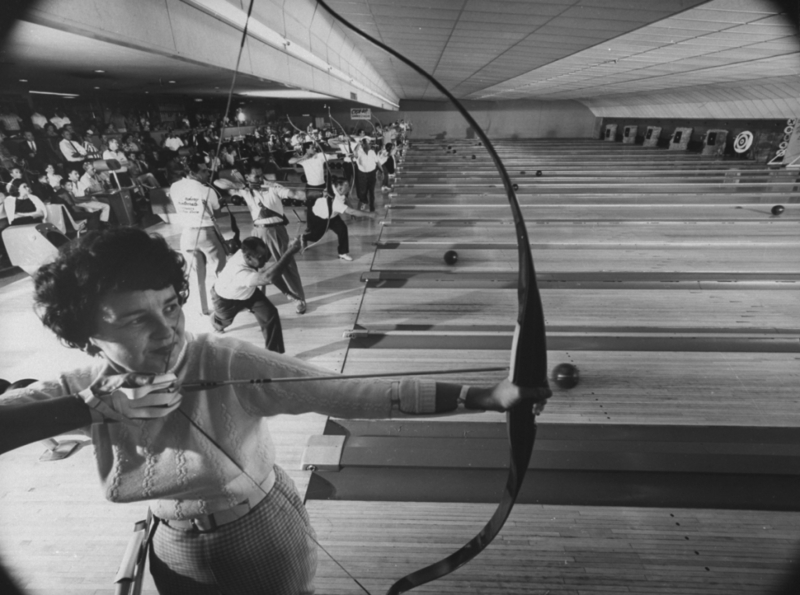 Apparently bowling alleys doubling up as ranges was not uncommon at the time. 1) The official ‘season’ was outdoor only and ran from the first Tuesday in May to the last Tuesday in September. Only gentlemen were allowed, and the cost per year was ten shillings and sixpence – approximate cost relative to wages in 2014: around £400. No word about indoor shooting. 2) Shooting was permitted on Tuesdays and Fridays starting at 5 o’clock. All arrows had to be marked with their owners initials or they did not score – a rule that persists in the UK and worldwide. 3) Every Tuesday archers shot nine dozen arrows – four dozen at 100 yards, three dozen at 80 yards, and two dozen at 60 yards. (A similar imperial round called a St. George, which has three dozen at each distance, is still shot in the UK). Maximum score using five zone scoring would be 972. Archers shot three arrow ends. Given that sunset in May in Yorkshire is around 8pm, they would have to get moving pretty quickly to get the round in before dusk. 4) The highest score each week would be made ‘captain of the target’, and get to hold a silver medal for the week. To encourage all archers, a handicap system existed – if you had won once in a season, you got four points removed from your score for the next and all subsequent weeks – twice in a season, eight points removed; three times, sixteen points and so on. 5) These Tuesday shoots were compulsory – unless you could prove you were at least ten miles outside of Thirsk, you were fined sixpence (relatively, about £20) for every shoot you missed! Swearing incurred a similar penalty. Turning up without all your equipment incurred a stiffer fine of a shilling (about £40). 6) Every year in September there was a ‘Grand Annual Meeting’. The highest score of the day would receive a silver bugle and the title ‘Captain Of The Year’, the best gold (nearest the centre) would receive a silver arrow and the title ‘Lieutenant Of The Year’ – and the last place finisher would receive a ‘Wooden Spoon’ and the title ‘Master Of The Green’. Yes, that’s right – archery puns haven’t improved much in the past 170 years. 7) Gambling on results was clearly a problem – the rules go into some detail about not letting betting corrupt the ‘manly amusement’, and a rule existed that any wagers discovered would have to be forfeited to club funds – although sweepstakes of up to five shillings (about £200) were allowed with prior permission of the Secretary. *A copy of these rules sold at Bonhams in Harrogate for £192 in 2007. George Harding, 26, is shooting recurve for Great Britain in the upcoming World Cup in Medellín starting on Wednesday. He took some time out from preparation to answer my questions. Is this your first senior international? This is my first outdoor World Cup. I did a small international with the British team in Mexico in November. I have competed in a couple of international indoor competitions such as Face2Face, Vegas, Nimes and Telford. How are you feeling now, three days out from the start? I only found out I was going a couple of weeks ago, so I haven’t had much of a chance to think about it in between making sure everything is ready. I’m excited to be going to my first World Cup and massively grateful to Archery GB for giving me this opportunity. What are your goals for Medellín? My main goal is to stick to my shot process and enjoy being in this environment for the first time. What did your typical practice day for this tournament look like? Somedays I will change the afternoon session a bit, either shooting 9 or 12 arrows ends for more volume, or adding in some matchplay practice. What riser & limbs are you currently shooting and why? I am currently shooting a Smartriser XM1 with Win&Win Ex-Prime limbs. I’ve spent a lot of time since the end of January testing bows and this is the one which performs the best on the range. When I first heard about it in 2012 I was curious but sceptical. Having the opportunity to test one this spring was great. On opening the box I could see that this was a piece of equipment which had a lot of thought gone into its design and manufacture. The click adjustment system used for the tiller/ poundage is a great example of this. The innovative use of structural carbon plates mounted an aluminium chassis along with internal hydraulic damping means that while the riser only weighs just over 960g, it still feels solid. The reduced mass of the riser means that I can use a lot more weight on the stabilisers, which of course adds to it’s stability. I am still waiting on some results from more quantitive testing but the scores in practice are doing a good job of justifying my choice. Yes, it’s just probability in action. How do you maintain confidence? I’m really fortunate to have a lot of support from the staff at the Archery GB Performance unit. I work closely with the psychologist who helps me to stay focussed on the things I am in control of as well as positive facts about my performances in practice and competition. Breaking down things which are worrying me into achievable chunks makes tackling daunting situations manageable. Being able to work with Songi and Lloyd who have both worked with Olympic medalists is a big confidence boost. Between them they have a massive amount of knowledge which I have a lot of faith in. Simple things like taking photos of good ends and recording scores could help every archer looking to improve. What’s your favourite sport apart from archery? I have a taste for extreme sports, anything on the Redbull TV channel and I’m interested. Do you have any ideas as to how to raise archery’s profile? Archery has a growing profile as it is. 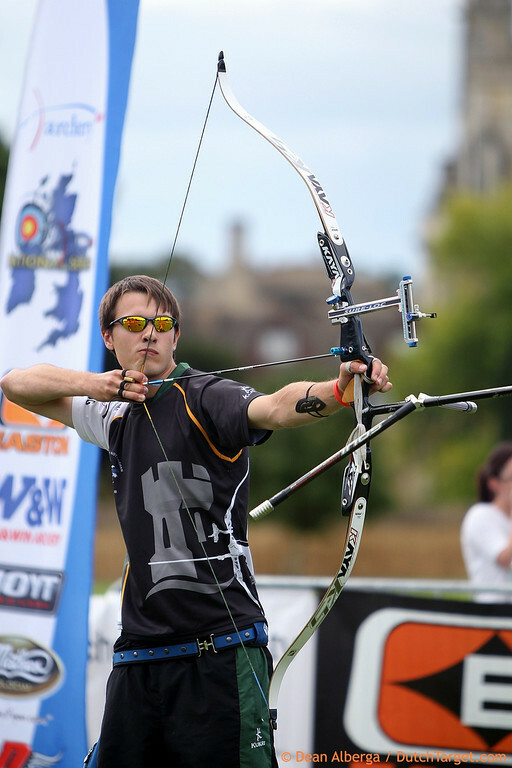 Nottingham City Council’s support of the National Series and European Champs in 2016 is a good example of this, as well as plans for the University of Nottingham to build a purpose built indoor archery range. I think one way to progress archery is to introduce staged levels of competition. Archery is one of the few sports where a beginner can compete alongside an elite archer, events like the indoor World cups take this to the extreme. Having secondary competitions at these events adds an extra dimension which allows more people to be really involved in competing. Similarly expanding the National Series Finals to include the top eight qualifiers makes reaching the final an achievable goal for a lot more people, which will help raise the sports profile. I really like how the regional university leagues give teams a chance to compete regularly, in a similar way to World Cups and, closer to home, the National Series. 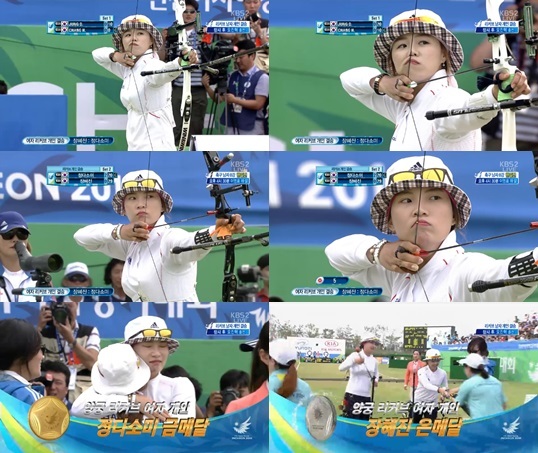 These series create an environment for producing narratives which can be used to sell archery. 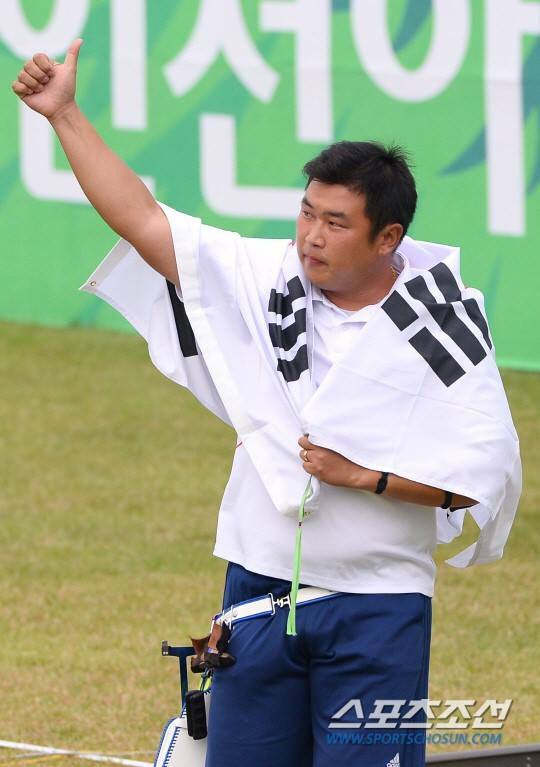 Opening these events up to spectators who might not have considered watching archery by hosting finals matches in iconic public locations is a great way of presenting archery to the world. You made an excellent video on YouTube about nocking points. Any more how-to videos in the works? I’ve been meaning to do another video on an updated version of the nocking point I am now using. I would like to do more I’m just not sure what to do it on. Any suggestions welcome! OK, some slightly less serious questions…. 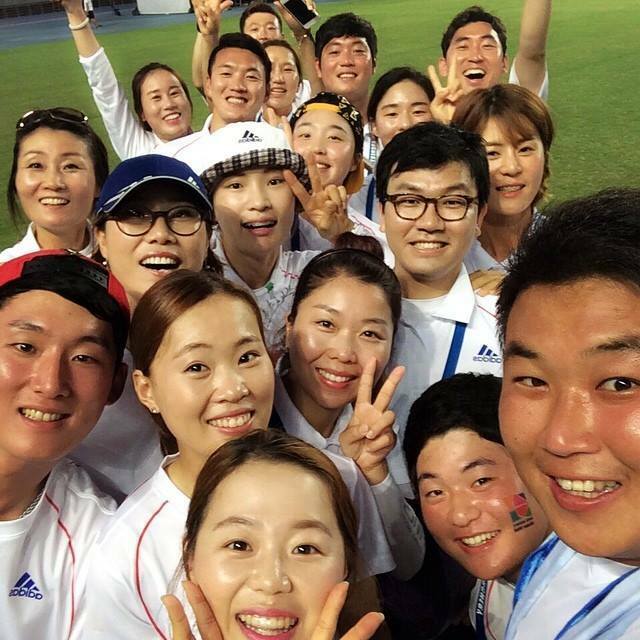 There’s a rapidly expanding trend towards selfies on social media in international archery. I presume you are not intending to buck this trend this week? We’ll see. When I find myself in situations which would probably make a good photo I often don’t think to get my phone out, I know other members of the team are likely to be taking photos so I retweet those and enjoy the moment. What were the last three tracks you listened to? Not a lot. Keys, phone and wallet. Finally, tell us a joke. What did Jay-Z call his girlfriend before getting married? Feyoncé. Cheers George. Good luck in Medellín!